We collect and study child data so that we know where to target prevention efforts, what's working and what's not working. 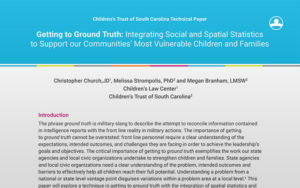 Understanding child well-being trends is important because the insights gained enable us to focus on policies and programs that will lead to the greatest improvements. Use these resources to start a conversation in your community about prevention. This provides understanding on the frequency, links to health and social outcomes, risk factors, mental health and quality of life. These profiles contain data from 2014-2016. 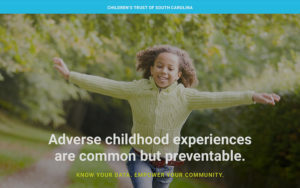 These are developed to help counties understand the impact of adverse childhood experiences (ACEs) in their community. These race profiles contain state level data from 2014-2016. These are developed to further understand the impact of adverse childhood experiences (ACEs). 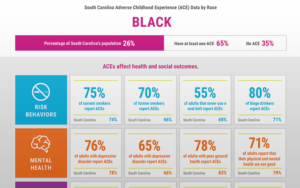 These provide a snapshot of how ACEs affect different races and can be used as a tool to empower action. View the KIDS COUNT rankings and indicators for South Carolina. 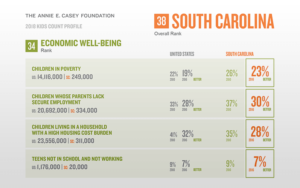 You can view the areas where South Carolina has improved, declined or stayed the same with each indicator. 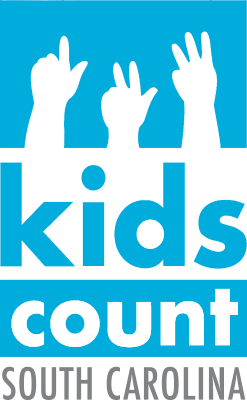 KIDS COUNT indicators are available at the state level and county level. States and counties are ranked in each domain and overall. 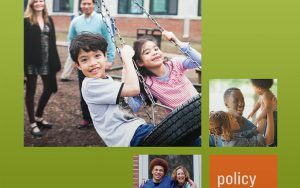 Resources to inform the elimination of racial and ethnic disparities in child well-being outcomes. 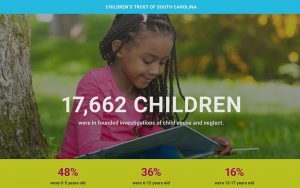 A searchable database featuring hundreds of data sets provided by Children's Trust and the Annie E. Casey Foundation. Briefs also help explain what it means for preventing abuse and neglect. 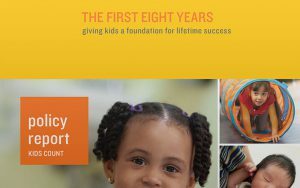 Children's Trust has produced a series of research briefs on adverse childhood experiences (ACEs). 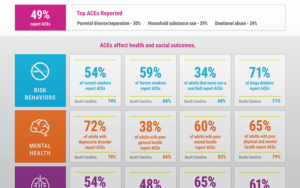 The research brief topics include the data collection process, an overview of ACEs, the prevalence of ACEs in various populations, and the relationship between ACEs and health and social outcomes. 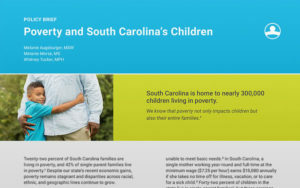 Examining the impact of poverty on children and families in South Carolina, this brief offers recommendations to improve economic stability, access to quality child care, and overall health and well-being. This research brief shows how heat maps can be used to support data-driven conversations and decision making. 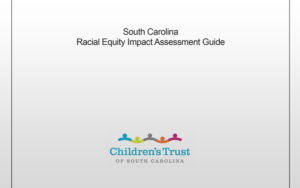 Step-by-step guide to evaluate policy impact on racial and ethic groups to determine how to proactively achieve equitable outcomes. 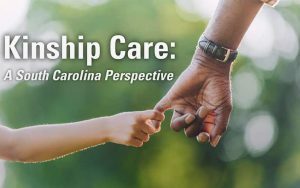 Children's Trust and other S.C. partners authored the publication that outlines ways to better support those relatives who step up to care for children when their parents are not able. 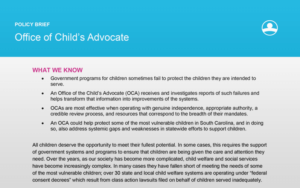 Children’s Trust examines the role an OCA could play to protect children across South Carolina, and highlights the attributes of the most effective OCAs in other states. 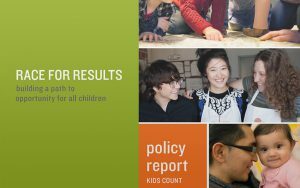 These reports, all produced by the Annie E. Casey Foundation, our national partner for KIDS COUNT, work to raise the visibility of children's issues through a nonpartisan, evidence-based lens. 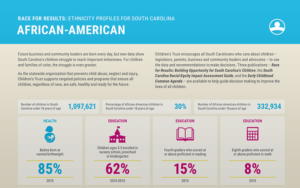 The report examines the disparity in opportunity and the barriers that exist for children of different racial backgrounds. 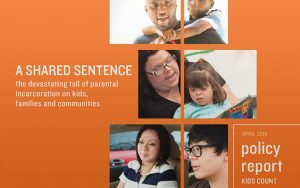 Addresses the increased poverty and stress experienced by children of incarcerated parents. Highlights the need, through sound policies and proven practices, to find loving, nurturing and supportive families for children in foster care. 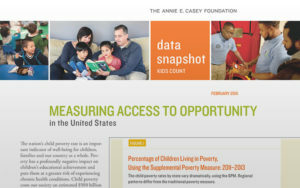 Measuring Access to Opportunity in the U.S. 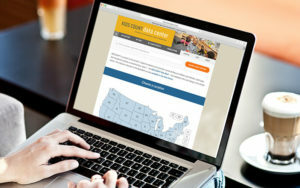 Illustrates how outdated methods of measuring poverty in the United States are giving an inaccurate picture of how families are really faring and what public programs are working through a discussion of the Supplemental Poverty Measure. The publication sounds the alarm that the nation is failing to invest enough in the early years of children. This report explores the increased number of children living with extended family and close friends. 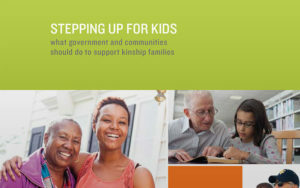 It offers recommendations on how to support kinship families.